Twitter stepped into a PR mess this week when it broke ranks with peers and declined to suspend conspiracist Alex Jones from its platform. The decision came after most tech giants hosting InfoWars content – Apple, Facebook, Spotify, and YouTube — removed at least some of its pages or broadcasts in response to public pressure. Jones, of course, is the self-proclaimed “performance artist” who spins wild conspiracy theories and launches poisonous attacks on perceived enemies, galvanizing his hordes of fans in the process. In a series of tweets Twitter CEO Jack Dorsey explained that Twitter wouldn’t ban Jones or InfoWars because they hadn’t violated the platform’s rules. He admitted that Twitter has been “terrible” at explaining its decisions, then tweeted that it would continue to treat Jones like any other user. He will remain unless he engages in targeted harassment or other clear violations of Twitter’s terms of service. Twitter’s problems with nazis, trolls, fake accounts, and misinformation aren’t new. And like Facebook’s struggle in the wake of the Russian account scandal, the issues are knotty and complicated. It goes far beyond a mere PR or communications problem. Even most brilliantly crafted public statement probably wouldn’t please Twitter’s critics. But @jack’s response to the Alex Jones backlash did contain several unforced PR and strategy errors. First, the move is starkly inconsistent with its past behavior. It comes in contrast to Twitter’s well publicized expulsion of hate groups and its elimination of thousands of fake accounts, bots and trolls. @jack’s tweets seek to make a distinction between what Jones does and the hate speech and targeted harassment by nazis and others, but to many of us, the line is very, very thin. The accompanying statement the company released did little to reconcile the two positions. Worse, the explanation betrays a concern that Twitter would be blamed for “shadow banning” conservative accounts, a favorite accusation of far-right critics. If so, Twitter is guilty of the very politicized behavior that it claims to want to avoid. If it’s keeping Jones out of fear of conservatives who “work the refs,” it’s taking sides. Expressing political opinions and tweeting lies made up for dubious political ends simply aren’t the same thing. InfoWars is political, yes, but plenty of Jones’ content isn’t about politics, and it certainly doesn’t focus on issues. The false Sandy Hook conspiracy he concocted is a glaring example, and as the pizzagate situation showed, such content can be dangerous. Most baffling may have been @jack’s call for the media to step up in policing the lies, rumors, and conspiracies propagated by people like Jones. He tweeted, “it’s critical journalists document, validate, and refute such information directly so people can form their own opinions. This is what serves the public conversation best.” He then rubbed salt in the wound by giving a rare interview to Sean Hannity’s radio program. You don’t need to be a PR expert to think that foisting responsibility on media for the pervasive “fake news” problem on social media is a huge stretch – and offensive to many in the press. And giving Hannity the sit-down didn’t exactly endear @jack to the dozens of journalists who’ve been clamoring for an interview with him. It’s hard not to think he’s pandering to the right in the handling of the decision. Bottom line, social platforms exist to serve the needs of users and advertisers. Apple, Spotify and others dropped Jones’ content precisely because its users found it repugnant and made their views known. Like Facebook and the others, Twitter is a private company that can set rules as it wishes to optimize the experience for its community of users. Apple in particular has shown a willingness to stand up on divisive issues. Facebook has done it very reluctantly, in fits and starts. 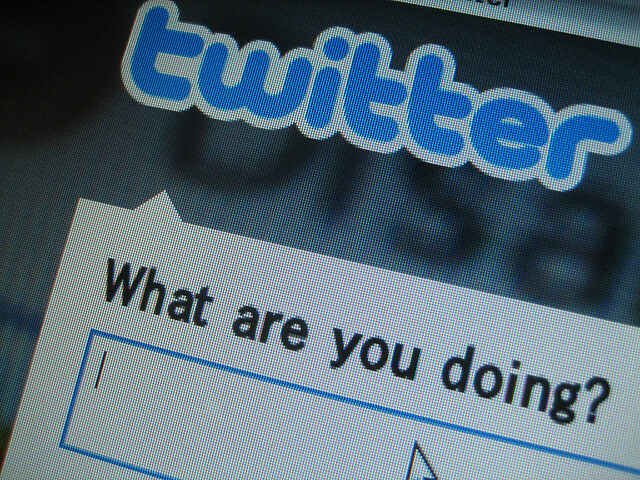 Twitter is trying to take its own stand, but its decision is far less defensible. Twitter’s explanation that it can’t be the “arbiter of truth” seems like a red herring. The fuller explanation — “nor do we have scalable solutions to determine and action what’s true or false” — may be more to the point. No social platform is willing to pony up the resources to fight misinformation. The problem is just too big. But here’s the thing – Twitter has an easy recourse if it really wants to suspend Alex Jones. It can do it on the grounds that he promotes hate speech. There’s plenty of ammunition – and plenty of cover – for that move. Instead Twitter seems to be trying to take the high road by clinging to a nonexistent fairness principle and wrapping itself in a legalistic explanation that bears little relevance to how people use social media. It’s pretending that its rules are black-and-white when everyone knows that for any social platform, human judgment is involved in decisions about abusive content and suspensions. There’s no way to automate against hateful, hurtful, and false speech. It takes human judgment to address the problem, and a human commitment at the top to wipe it out. There’s not a technology solution here, and that may be the heart of the problem.